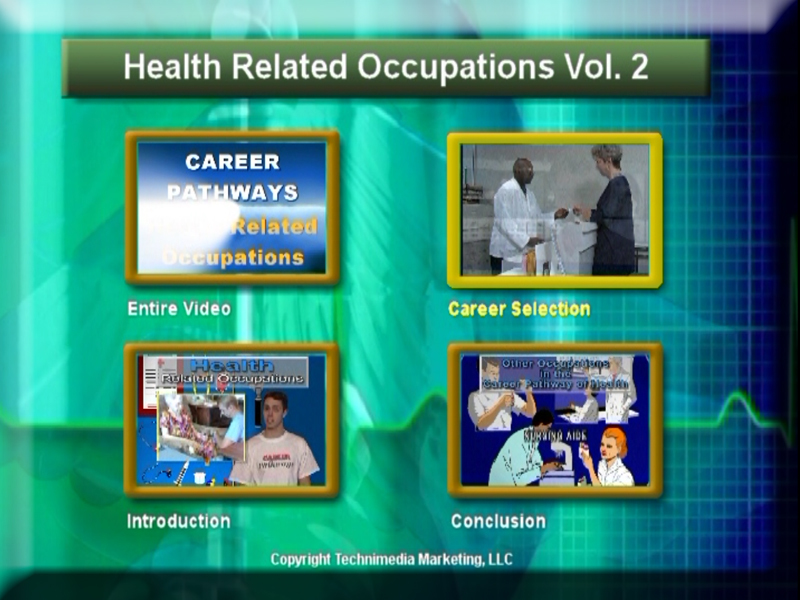 Students will be taken on a tour of the careers highlighted in each of the cluster DVDs. Not only will students see actual work sites and receive valuable information about each of the careers, such as: Nature of Work, Working Conditions, Employment, Education, Job Outlook, and Earnings, students will hear a testimonial given by someone working in the field. Every Pathway is hosted by young adults who appeal to students at a level they understand and enjoy. In addition to detailed information provided for each highlighted career, students watch testimonials from people who actually work in the field. 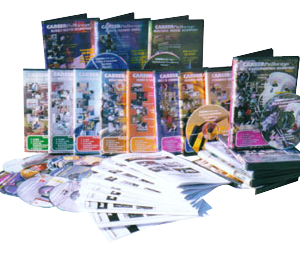 These DVDs are never outdated as all statistics are given in ranges with instructions to consult with the internet and/or the students guidance couselor, and the Occupational Outlook Handbook to receive the most up-to-date information on the Employment, Job Outlook, and Earnings of each career. These DVDs are never outdated as all statistics are given in ranges with instructions to consult with the internet and/or the students guidance counselor, and the Occupational Outlook Handbook to receive the most up-to-date information on the Employment, Job Outlook, and Earnings of each career. All of the menus are full motion with full motion video icons, auto repeat, and interactive designed to get and keep your students attention. 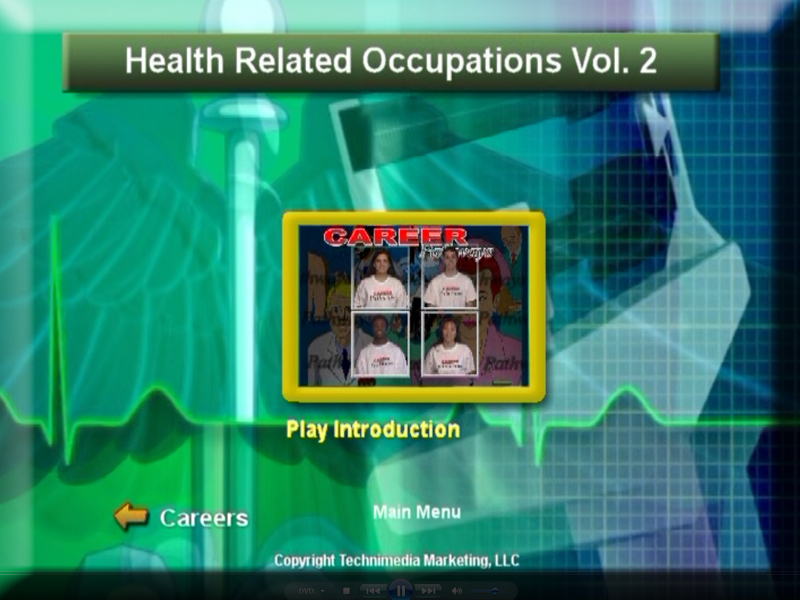 Directly below are screen captures from Health Volume 2. 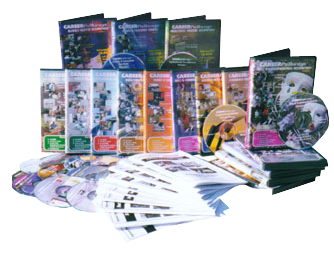 Below is a complete listing of all of the products in this package. To see video samples and screen shots of the videos from each DVD please click on the Volume set or individual career title of your choice. This two volume set highlights 11 careers in the field of Agriscience Related Occupations. This two volume set highlights 12 careers in the field of Business Related Occupations. This two volume set highlights 11 careers in the field of Culinary Arts & Food Services. This two volume set highlights 12 careers in the field of Engineering Related Occupations. This two volume set highlights 12 careers in the field of Environmental Related Occupations.. This two volume set highlights 12 careers in the field of Family & Consumer Related Occupations. 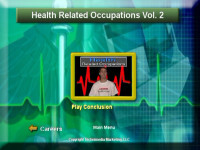 This three volume set highlights 18 careers in the field of Health Related Occupations. This two volume set highlights 11 careers in the field of Industrial Related Occupations.